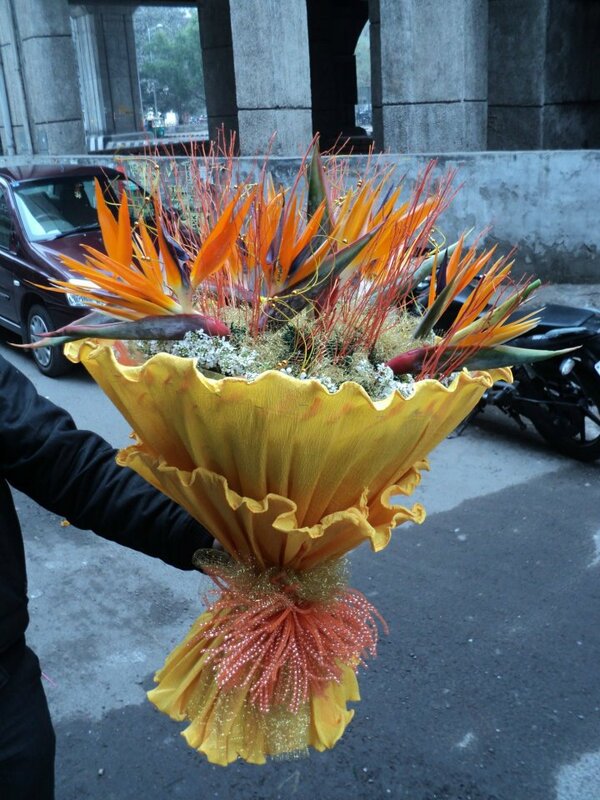 Strelitzia flowers or commonly known as Orange Bird of Paradise resemble tropical birds and are quite highly demanded for presenting to near and dear ones. 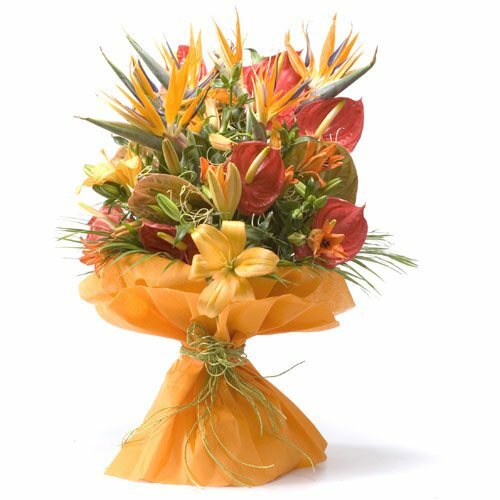 In fact, the flowers make an excellent arrangement in bouquets. 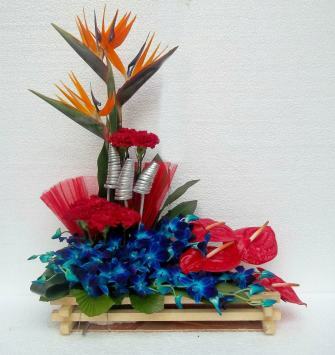 They are enough to draw the attention of people and make them fascinated. 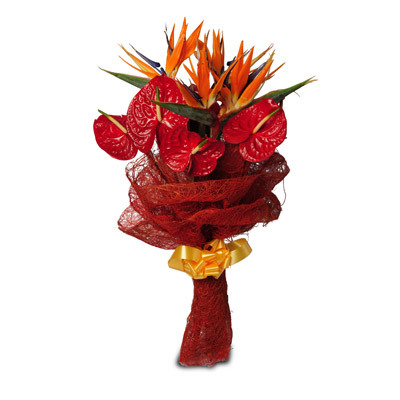 Gift the bouquet of Strelitzia flowers to a special someone and see a cheerful face. 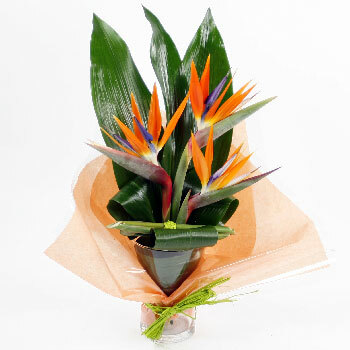 The Strelitzia brings dollops of happiness and joy with its tasteful flower arrangement. 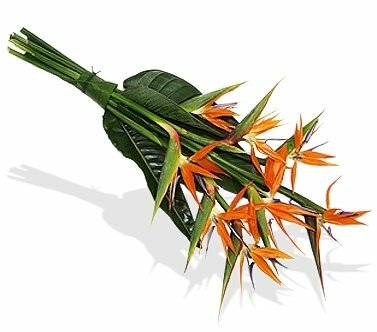 The bright hues of the flower, its long green stem, and classy shape are all it needs to be made the attraction of a desk or a centre piece. 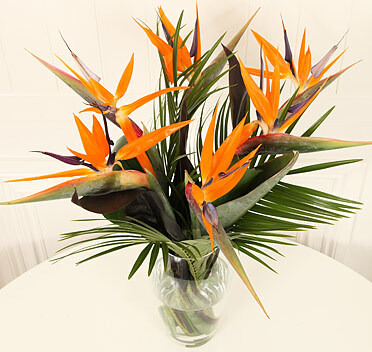 Also known as Bird of Paradise, the flower evokes tranquil and calmness, and helps to calm down a turbulent mind.